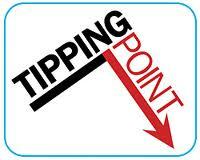 Phoenix Law Enforcement Association > PLEA News > Are we at the Tipping Point? The Police Department has not hired in almost 4 years with no new hires projected until 2015. We are down over 400 positions with normal attrition continuing to occur on a monthly basis. The creation of two new precincts caused a need for the creation of over 25 additional squads. Specialty details, patrol and detective details are all spread thin which begs the question; are we at the tipping point? Have we painted ourselves into a dangerous corner of manpower shortage that could well take many years to recover from? Mike Broomhead of KFYI recently spoke about the issue and interviewed PLEA President Joe Clure about the impact to the department. Listen Now! To PLEA President Joe Clure’s interview on the June 5th Mike Broomhead Show.